Martin Bashir is interviewed about his interview of Rob Bell. I was particularly struck by his perception of what C S Lewis called chronological snobbery in contemporary theological debates – whereby those over a certain age (ie 30!) are dismissed out of hand. A wonderful example of doing good to all – let’s hope it works in all senses… Christopher Hitchens and Francis Collins. And while we’re thinking about him, here’s a nice if brief interview with Francis Collins – quite old now (originally from 2007), but I’ve only just seen it. John Stott – the man who wouldn’t become a bishop. New scrolls discovered in a Jordanian cave – very exciting – but will they have the impact many are claiming for them? Thanks to a comment on an old Q post, I’ve recently got into this fantastic resource – the Google Art Project. It’s a real treasure trove. 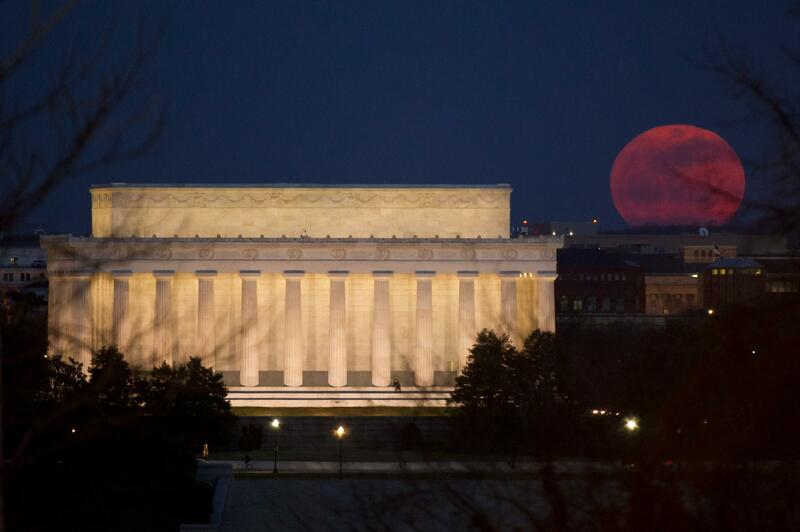 Pretty awesome NASA pic of the supermoon.